It's time for a fiesta with this Mexican themed South of the Border collection from Whistler Studios. 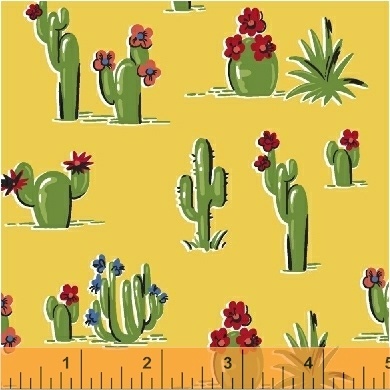 Clay pots, blooming cacti and textured basket weaves in bright colors help to bring elements of our southern neighbors' culture to your quilting and sewing projects. 11 Skus. Delivery to stores November 2017.